Disclaimer: I am not a Posh consultant and I am not getting paid by any of the following brands to mention their products. Beauty tips are everywhere you turn. Whether it's how to contour, highlight, or get the most effortlessly chic hair, we've all read them hoping for something to make our beauty routine easier. But the biggest beauty tip I have? After years of being a beauty blogger, testing products, and trying new trends? Take care of your skin. Taking care of your skin solves a whole lot of beauty problems at once. You won't have to figure out how to flawlessly cover blemishes, sunspots, or uneven skin tone if you've taken steps to prevent all of those things. Now, even with steps taken, you most likely will still have some of the above. But, there will definitely be much more to "cover up" if your skincare routine is lacking. I get it. Not everyone is ok with spending a ton of time and money on their skin. But, it doesn't have to take much of either of those things! Granted, my skincare routine is pretty involved. I grew up having difficult, acne prone skin. So I'm used to having many steps in my routine. But for those who aren't, no worries! You can pick and choose what works best for you. 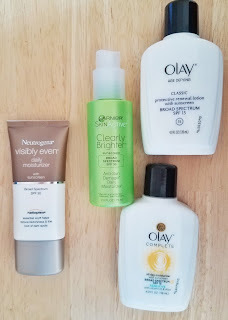 Here are my skincare steps AND products that I've used and loved. 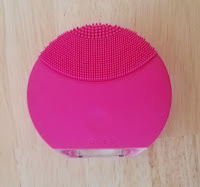 In the morning I use my Luna Mini, so I need a non-scrubby face wash so I don't tear the silicone on my LM. I've been talking about the Luna Mini for YEARS. And it's still a main staple in my skincare routine. The washes may be switched out every now and then, but the Luna Mini has remained. Now, here is an example of how skincare doesn't have to cost a fortune. What's my go-to face wash? 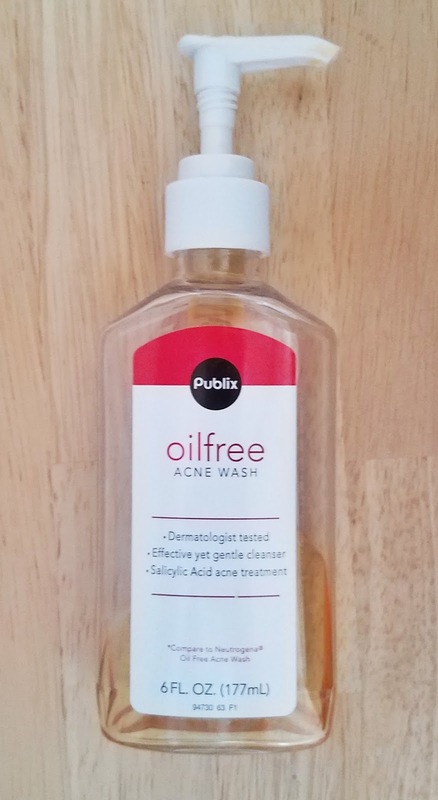 A generic (Publix) version of Neutrogena's oil free acne face wash. I think it's about $3 or $4. It leaves my skin feeling clean while preventing breakouts. 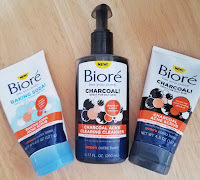 I also really like Biore's Charcoal Acne Clearing Cleanser. This cleanser works with my combination-oily skin, but would also be great for someone with drier skin. It's a tad moisturizing without being greasy or giving up that freshly clean feeling. In my teens and early 20's, I was one to never use a face moisturizer. My skin was an oil slick. Don't get me wrong, I still had the step of putting a medicated acne lotion on my face after cleansing. But straight-up moisturizer was not happening. But as I got older, I started realizing I needed the acne lotion less and less. And I needed the moisture in my face to be replenished. I also needed some SPF. (Yes, this Florida girl did not wear SPF on her face daily until her late 20's). Sunspots find my forehead if there isn't sunscreen in my moisturizer, however, I have one problem. I have a sensitivity to sunscreen. So, for me, all SPF facial moisturizers are not created equally. I started needing more SPF (the sunspots! The SUNSPOTS!!!!) so I moved on to Neutrogena's Visibly Even Daily Moisturizer SPF 30. There was a noticeable improvement in my skin's texture and tone after a few days of use. (Fair warning- there is a silicone-y feel.) But after daily use for several months, I developed a sensitivity to it and switched to Garnier SkinActive Clearly Brighter Anti-Sun Damage Daily Moisturizer SPF 30. (Which I am still using as I write this.) Between the two, I prefer Garnier's. I still have a noticeable improvement in tone and texture with Garnier. But I don't get that silicone vibe and, instead, have a more luminous complexion. Before bed, I like to wash my face with a scrub. Using the Luna Mini twice in one day is too much for my skin. And I feel like a scrub does a better job of removing makeup from my skin. The two scrubs I've been using recently are both by Biore. 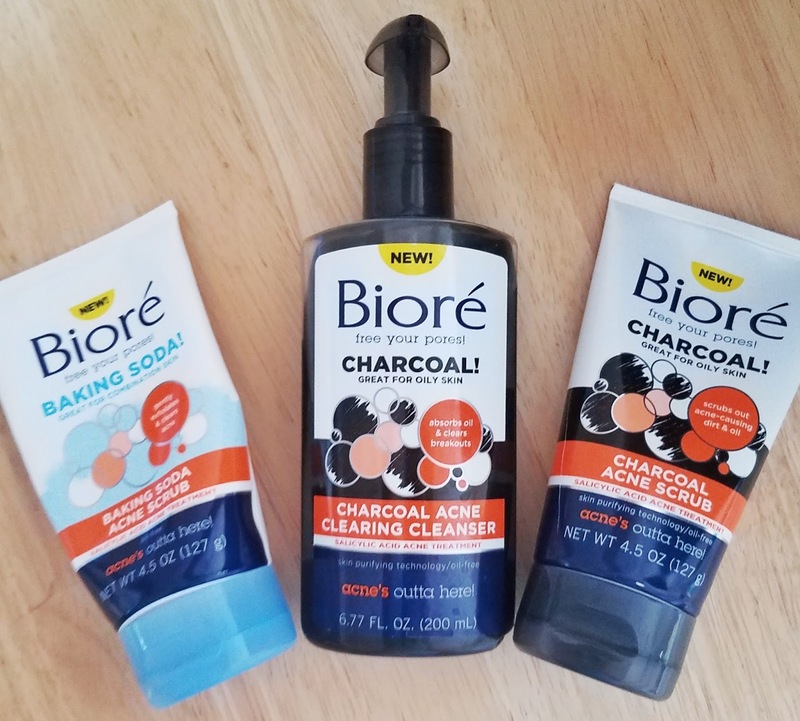 One is the Biore Baking Soda Acne Scrub and the other is the Biore Charcoal Acne Scrub. I personally prefer the baking soda scrub. It seems a little gentler and creates more of a foamy lather. It also leaves my skin a little smoother than the charcoal scrub. But both are great scrubs. 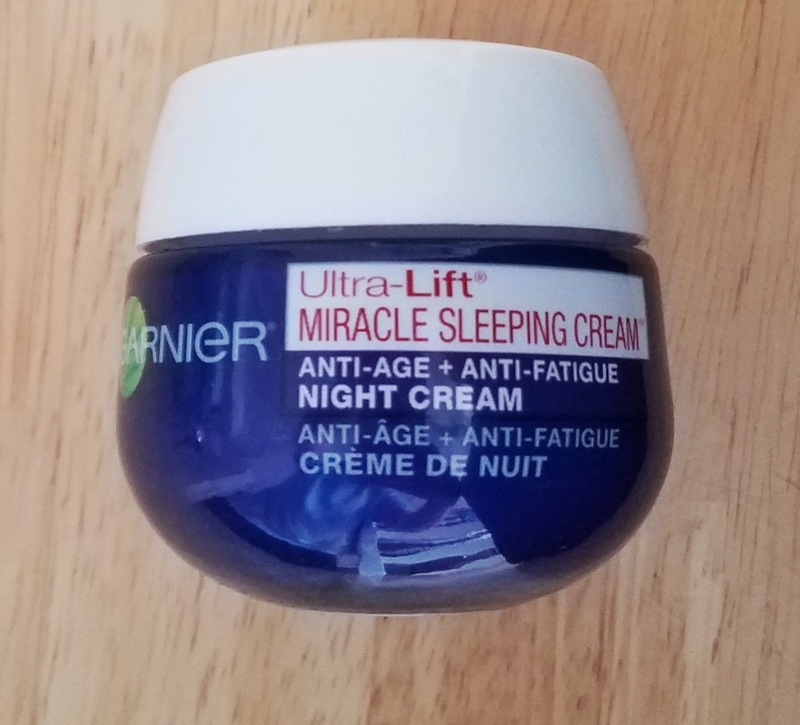 I've been using an anti-aging cream at night since my late 20's. Once I no longer needed to cover my entire face with acne medicine each night, I started using an anti-aging cream. (And, yes, I was aggressively fending off acne into my late 20's.) I really like Olay's Pro-X Wrinkle Smoothing Cream, however, it is costly in-store and you now need to have Amazon Prime to be able to buy it at a much lower price on Amazon. So I moved on to Garnier's Ultra-Lift Miracle Sleeping Cream. And, honestly, I see more results (and faster results) with this guy. It's also about $20-$25 cheaper than the Olay Wrinkle Smoothing Cream. (Garnier's ranges from $12-$16 in price depending on where you shop. ) Neither breaks me out. Neither is greasy. Ok. Honestly, It's probably more like 3 times a week. But I LOVE face masks. To me, these are a huge part of a skincare routine. Not just because they are fun, but because they also can help keep your skin healthy. 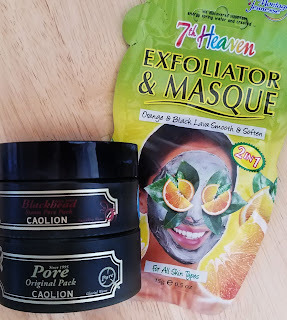 Three of my favorite face masks at the moment also happen to be vegan (and listed below.) Anyone who knows me IRL has most likely heard me rave about and recommend the Perfectly Posh Envy This Face Mask. It is amazing! After one use my skin tone is improved and my skin is GLOWING. My current favorite detoxing mask is the Perfectly Posh Cackle Spackle. It's also vegan and contains a ton of skin-loving ingredients including, glycolic acid, kaolin, charcoal, and aloe vera. It smells like spearmint gum to me (which I enjoy) and deep cleans without drying the skin. 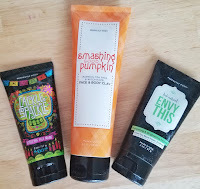 My favorite mask for getting a breakout under control is the Perfectly Posh Smashing Good Pumpkin. It's vegan and contains so many acne fighting ingredients. 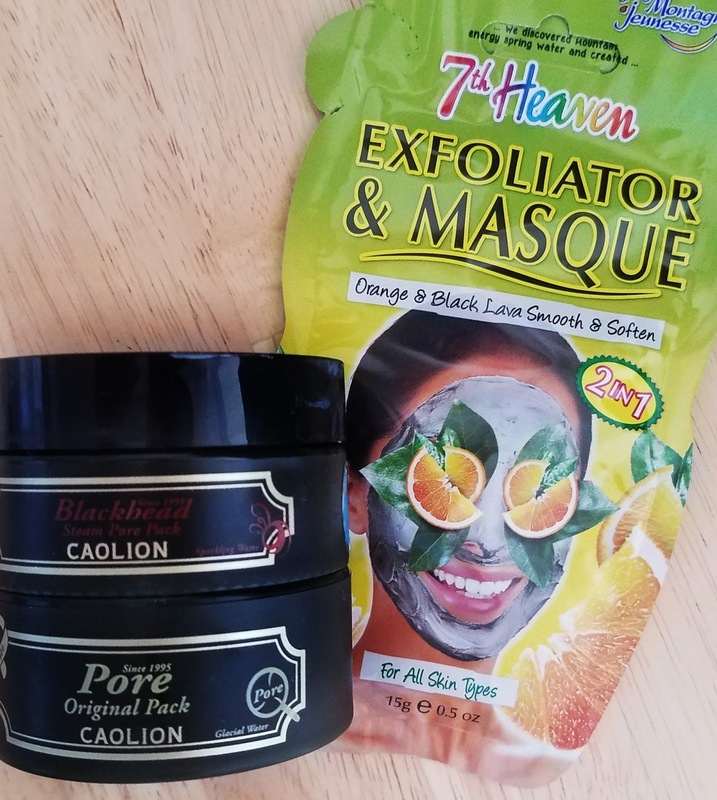 You'll find witch hazel, salicylic acid, kaolin, and tea tree oil in this mask. It also contains aloe vera, coffee extract, and pumpkin powder. You'd think this mask would be harsh if it's taking on my breakouts. But you'd be wrong. It's much gentler than it sounds and helps zap those zits without leaving my skin dry. To be honest I have never used vegan products. Instead I prefer for the natural products or the drugstore beauty products that are made from natural ingredients. I'm new to vegan products too! Perfectly Posh's products are also natural based products (which was originally what drew me to Posh). The ingredients in each product are listed on the website as well. The best way to update your skin routine is to exfoliate your skin properly. Exfoliation gives your skin bright and soft texture apart from this exfoliation do provide sufficient nutrients to your skin. Applying great products plays an important role in skincare because of the large coverage of the skin over the body, it would be encouraged to take care of its texture and form. Many desire healthy looking skin that is smooth and firm. By using products like these we can achieve that. Thanks for sharing. It is important to take care of your skin. Skin is very sensitive part of our body and it requires extra care for that. In summers, sun rays damage our skin and makes our skin dull and dark. To prevent such kind of damage use lifecell all-in-one skin cream at night. It is because at night our skin repairs our cells. Awesome tips buddy!....But truly I have never used oil free acne face wash. Instead I love using natural ways for skin care, but it takes time and more efforts to create face packs. We should mainly try use natural way for our skin, but if you don't want to do lot of effort then try dermology skin brightener for your daily basis. It's totally natural and very effective. I moisturize my skin once a week. Is there any specific interval to exfoliate my face. I have been suffering from this Melasma for 7 years my dermatologist told me it wasn't deep it should lift off with the lazma cream. Thanks for sharing your beauty favorites with us! Sometimes it may be so hard to find cosmetics with natural ingredients. I use make up very seldom. Mostly for some special occasions. I really like the idea of natural beauty - the beauty you are born with. Just try look at your baby photos. Your shiny eyes, eyebrows, lips, body... No matter whether you are smiling or crying. That's it, you got it! I mostly enjoy using homemade beauty remedies. Have you tried any? This converter allows you to convert YouTube videos to MP3 files with just a few clicks. It supports all formats, such as MP3 (128kbps, 320kbps, 64kbps, 96kbps, 192kbps, 256 kbps), AAC, MP4, M4V, 3GP, WMV, WMA, FLV, MO, WEBM, etc. You can now easily convert thousands of videos from YouTube into your favorite songs. It has never been easier to convert YouTube MP4.